This herb garden site has lots for information on herb flowers, herb plants,indoor herb gardening, herb planters, garden themes, garden designs, gardening advice from a my master gardening background and herbal products. Follow these simple, easy steps when growing your own herbs and planning a basic herb garden to more themed herb gardens. 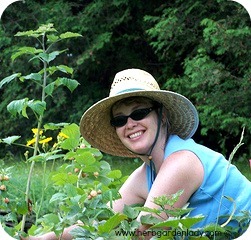 The first step is planning where to grow your herbs and how much sunlight they need. Even a basic garden needs 6 – 8 hours of sun light. Depending on the herbs grown, some warm-loving herbs need 12 – 15 hours of light. This is where sun exposure is important. Is it south facing? A preferable choice. Do the herb plants need dapple sun and shade exposure or complete shade? Draw up a simple, detailed or extravagant plan and then add your details for a solid blueprint of a garden design plan. 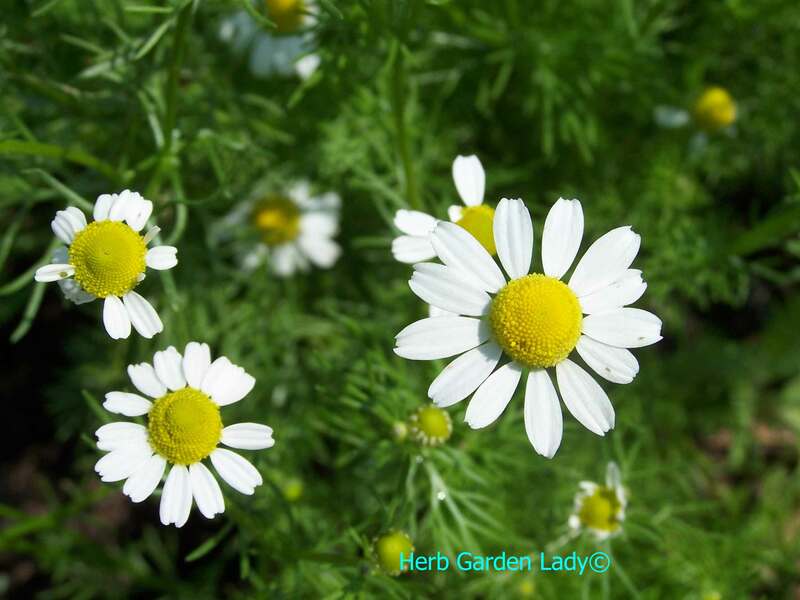 Chamomile herb is used in teas. 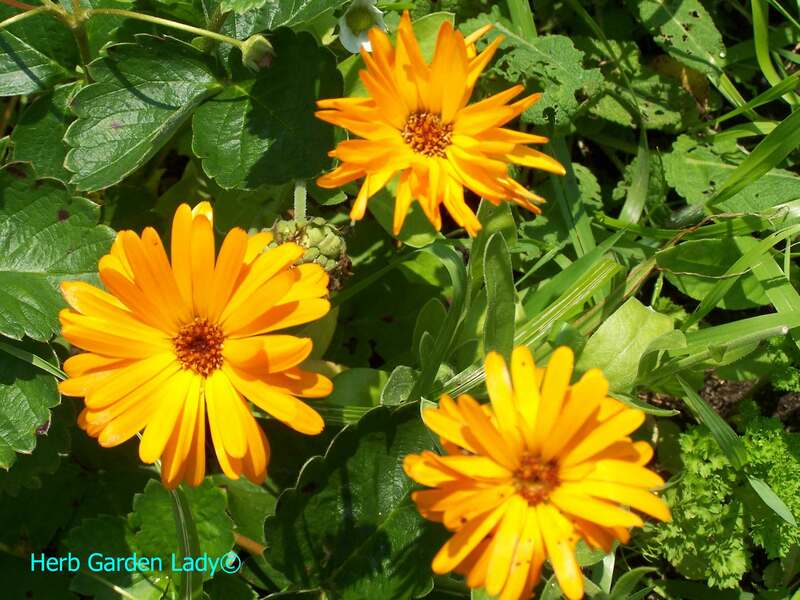 Calendula herb is used in handmade soaps. What type of herbs do you want to grow? Where do you want to plant them? Herbs used in cooking should be nearby so you have easy access to your culinary herbs. This is where an indoor garden would be handy. Locate an herb container or herb planter right outside your front door filled with parsley, cilantro, dill, thyme, oregano, sage, and garlic or chives. Don't forget...basil. And what about an herb site where medicinal herbs can be made into teas for the cold/flu season like Echinacea, elderberry tea or Aronia berry & black currant tea. This is where you would plan specific herbs dealing with different functions of the body, such as, respiratory, cardiovascular, or other special interests - creating your own medicinal pharmacy. Another idea is an aromatherapy herb garden to create a stress-free environment on your patio or balcony. These includes herbs like lavender, lemon verbena, basil, jasmine, angelica, rosemary or sweet woodruff to name a few. Best of all, herbs attract many different kinds of wild life and it's nice to take a break from a busy day and enjoy what nature has to offer. Ichneumon Wasp is a beneficial insect for pest control. 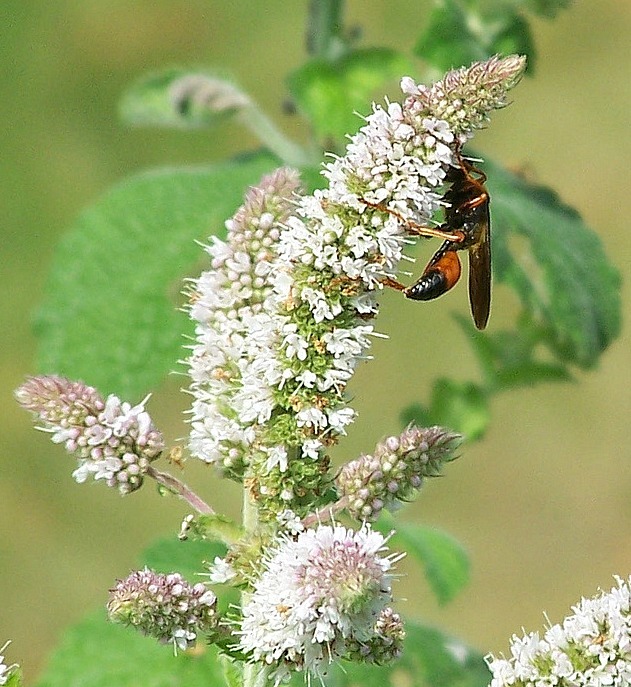 ...and other beneficial insects help keep garden pests in check while adding a hum when working in your herb garden. So, if your looking for some good, straightforward gardening advice or tips let Herb Garden Lady show you how to plan, plant and use herbs from your herb gardens.